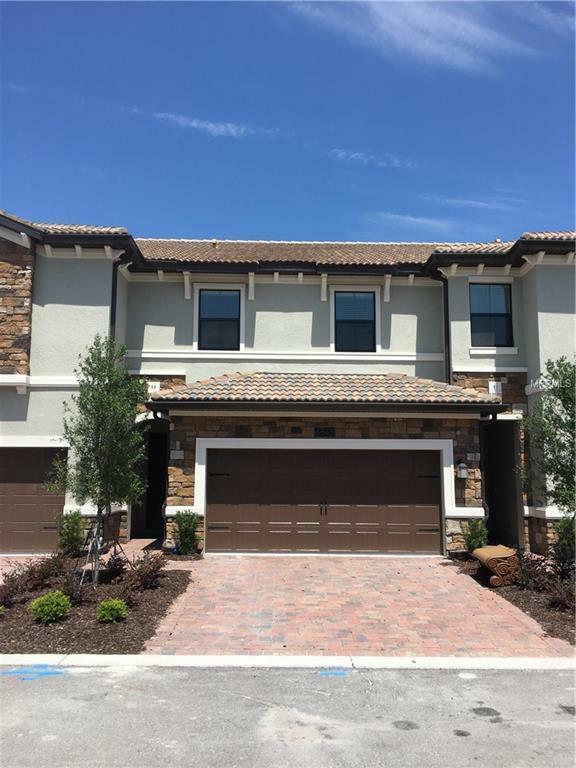 Brand New, Never lived, 3 bedroom Townhouse right next to Champions gate Golf Pro Shop, Club House and Famous Golf Academy of David Leadbetter. It is vacant but if you are an investor, it can be rented before closing with a 12 months lease contract for $2,000 per month and a credit of $4,000 towards Home Owner Association. This beautiful and very well located townhouse unit features three spacious bedrooms, plus two and one half bathrooms. The gorgeous kitchen overlooks the spacious great room and the dining room. The Vistas at Champions Gate community is located by Omni's Golf Club, This NEW home is perfect for your family vacation or great investment, If you are a Golfer, tee off at one of two nationally-recognized, Greg Norman-designed golf courses or any of the 54 holes of golf within steps of your own home. Currently under development, downtown ChampionsGate will also offer premier restaurants and shopping conveniently close to the Vistas. Located just minutes away from Walt Disney World, the Omni Hotel and Resort, International Drive, and I-4, where residents and visitors of the Vistas can play, eat and shop all within minutes from their doorstep. With so much to offer, the Vistas at ChampionsGate provides limitless fun and enjoyment for anyone looking to take a break from life and Live Like a Champion! Listing provided courtesy of B Live Commercial And Residential Real Estate.